All genres are represented, it is manageable, and it oozes with great vibes and music. 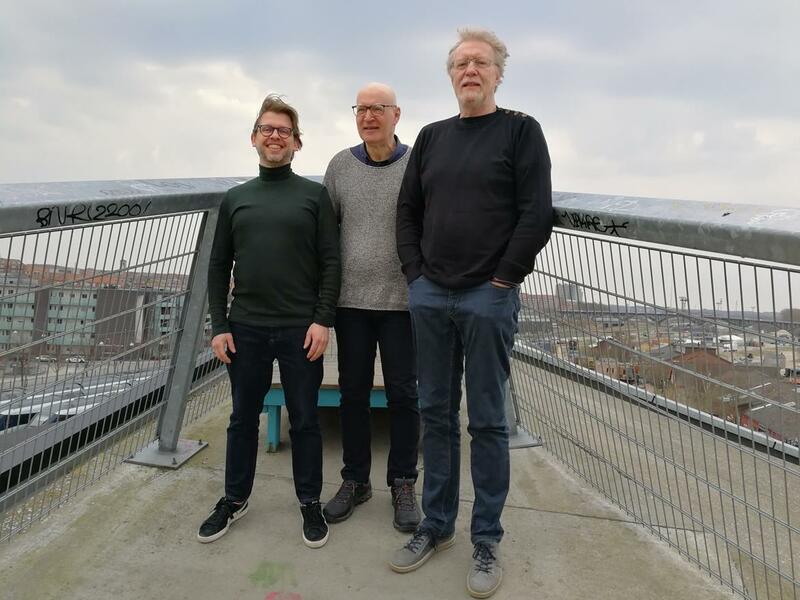 Those are some of the words that the three chairmen, who have been with Aarhus Jazz Festival for a collective 30 years, use to describe the festival. Musician, sound engineer, and producer Per Hougaard became the first chairman of the new organization behind the festival in 1995. Previously, Musikhuset Aarhus’ event department ran the show and played a central part during the first festival in 1989. Back then, some of the greatest jazz stars such as Stan Getz and George Benson performed. Times have changed. ‘Unlike Copenhagen Jazz Festival, we do not have a big bad of money to buy music for. Apart from the concerts on Klostertorvet and Bispetorvet, as well as a few others that we organise, we act as an umbrella organisation for a number of organizers and venues, meaning that we are dependent on their line-up.’, says Per Hougaard. Luckily, there is enough to choose from and what may be lacking at the top is found in the scope: from traditional jazz in the Jazz Tent on Telefontorvet to the most far-out avant-garde, which can be heard at the two-day improv festival COLABS in Jægergårdsgade. ”The great thing is that all genres are represented, including those with a broad appeal and small niches. Additionally, the festival is very walkable. All venues are within walking distance’, says Per Hougaard. Guitarist and program director at the Royal Academy of Music, Aarhus/Aaborg (RAMA) Mads Kjær became the new festival chairman last year. He mentions children’s jazz on Klostertorvet and subsequently Bispetorvet. Two years ago, children’s jazz was expanded notably with successful and popular events at Dokk1 for an entire weekend. We ask the three chairmen to describe some of their favourite moments through 30 years of festivals. Jens Klüver: ‘The concerts in Ridehuset with the big band (Klüver’s, now Aarhus Jazz Orchestra, ed.) and different soloists, which luckily continued. When I meet musicians and audience members in Denmark and abroad, they often bring up these concerts. Mads Kjær Jensen: ‘The lobby concerts in Musikhuset with Steen Rasmussen Quinteto, who are excellent interpreters of Brazilian-inspired jazz (will also be playing this year, ed.). What will your special moments at the 340 concerts of the 30th Aarhus Jazz Festival be?